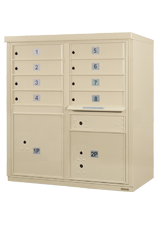 Provide a stylish alternative to the standard USPS Cluster Box Units (CBUs) and add appeal. Lowest CBU Prices in the Industry! Additional discounts available on orders of 2-4 units and 5+ units. Please click each item for details. Purchase 8 Door as low as $841.84 Each. Purchase 12 Door as low as $860.76 Each. 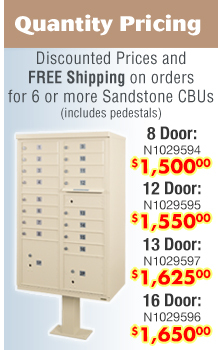 Purchase 16 Door as low as $863.68 Each. Purchase 13 Door as low as $889.21 Each. 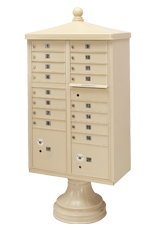 Postal Products Unlimited, Inc. has been a proud, dedicated USPS supplier for nearly 20 years. 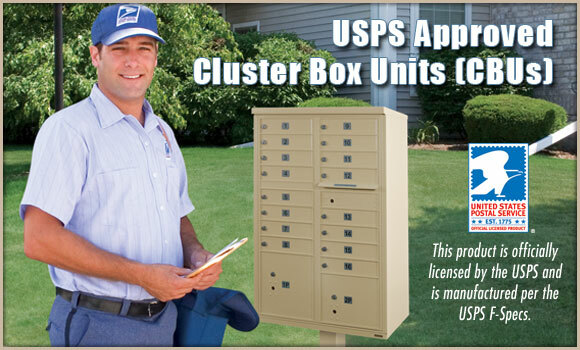 We are an authority website on USPS approved Cluster Box Units and provide a multitude of resources to help you select the perfect Cluster Mailbox for your needs. Our well-trained staff of customer service representatives is just a phone call away, happy to assist you in any way. Experienced, knowledgeable sales representatives help architects, engineers and contractors determine which Cluster Box to use in their developments. Find CAD drawings of all our Cluster Box Units allowing you to create, download, and print custom specs for your projects in seconds! 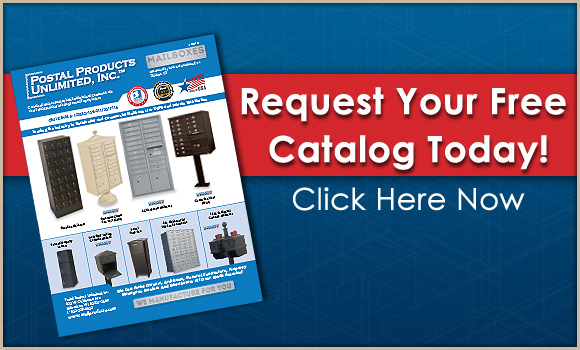 Whether you need a Cluster Box Unit for a commercial building, apartment complex or a condominium development, DirectClusterMailboxes.com is your best Cluster Box resource. We are fully committed to providing not only the industry's best CBUs, but also the best customer service, support and resources. We are the Cluster Box Unit experts because Cluster Box Units are all that we do.